Design Observer will celebrate five years with a party in New York City on Wednesday, November 5. The party will take place at Element (the beautiful 19th century bank building that became the Jasper Johns studio), located at 225 East Houston Street. 7pm-9pm: Cocktail hour. Meet authors and contributors. Jessica Helfand will be signing her new book, Scrapbooks: An American History. Lots of friends, so join us. 9pm-2am: Music curated by Kevin Smith (aka DJ Chroma), who will DJ along with Debbie Millman (Sterling Brands president turned disco diva), and, of course, the great Gary Hustwit (Mr. Helvetica himself). Sometimes I wish I lived in NYC. Ahh... and sometimes I'm never happier that I don't. Nothing says "gouge my eyes out" than being in a room of designers jockeying for the attention of StarDesigners. Bobestes, Our party is open to all. We promise a lot of music and dancing. Designers are usually a friendly group -- I know the hosts are. There is nothing elitist about the invitation to join us that evening. Instead of being nasty, please join us. No way bobestes... the Design Observer party in Denver was a good time, and totally very free of star-designer pandering, as best I could tell. "Sometimes I wish I lived in NYC." - Ricky Irvine. Although their (our) mood will probably depend on the results of said previous night. 50% chance of major pouting! Armin, I think your 50% estimate is nicely diplomatic! remember, there's always the tradition of partying after a funeral: i.e, the irish wake, the new orleans funeral march, etc....but let's hope it doesn't come to that! have fun. wake or celebration. I can't believe you actually wrote 'music curated by' with a straight face, or was your face not straight. Hey, that's my 25th Birthday! Happy 5th Anniversary DO! Is everyone welcome or is there a list? Ken Bakhtin, there is no list. Everyone is welcome. 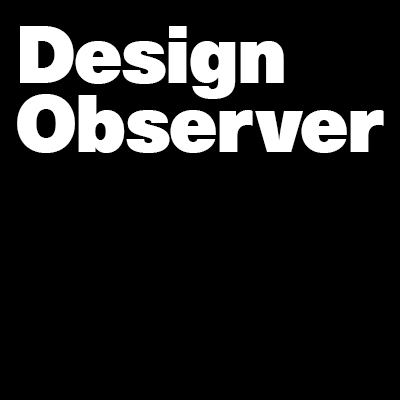 Just whisper the secret password: [hint: Design Observer]. Love you guys n gals. Well done, keep up the good work! Party on, and bring your love to La la land sometime. Yeah, happy fifth DO. Have a fun party! I’ll be missing the 5th anniversary party, so for me, what fun to fashion a notion of a theme for DO’s big do: a routine where the women of design, all wearing black, line-up, forming a grid from youngest fresh-face to the most mature timeworn as in the mallomars. The series are definitely us. We’ll be celebrating in a converted bank building not far from Wall Street where it would be fitting to have screens show Oakes’ sequences for I.O.U.S.A. Tailor made animations could include salary survey data and maybe the disparity in pay between female and male designers doing the same job. Is there time to design a mock DO5 ticket emblazoned with $2,000+ to be given as party favors? Having a film crew capture said choreography and attendees enjoying the venue would be a great investment for DO6’s VJ. I hope you all have a blast. Note: As it is a dog eat dog world we could include male black-clad designers in this. ah! joni mitchell. i forgot about this one, 1985. perfect for the occasion. had fun just now researching it and reading reviews. woof! Happy Birthday! Wish i could join you all. I am far away in Bahrain. Love to come. Hopefully some of us from the Paul Rand generation will be there too. Anyway, thanks for votin' for me and for plannin' to celebrate my election! maybe have the 6th anniversary by the bay -- in sf? i'd love to be in nyc for this -- but i'm stuck on the left coast. i have to say i'm quite dismayed by the snarky comments -- in these times, it is inspiring to have something to celebrate -- especially, the continued existence and promotion of our shared, collective creativity as designers. DO DO HAVE FUN AND HAPPY BIRTH! The folks at HUGE look forward to seeing you there! I suspect there will be some groggy heads from the night before, either from celebration or mourning. Hope it doesn't impact turnout! Congratulations on your five year anniversary. Thanks for the debates, inspiration and amusement, and for helping bring our industry together. Best wishes for the next five! Hopefully someone will have a chance to thank Steven Heller for his celebration of GOP campaign buttons in the New York Times. no sleep for the tireless.. see you there! I think there might now only be a 40% chance of major pouting! Certainly would love to be there but I'll be teaching a class in lovely Baltimore at the time. But all the best on your 5th Anniversary and I raise a virtual glass to many, many more. ...this building was also home to the defunct NY Gentleman's Club (RIP). Now I can attend your party and have a ball instead of having a bawl. When you witness a group of designers that join together to celebrate because of the content and culture created by a website, you know it's special. Thanks for a great event. like 5 bucks for a coke in a plastic cup? !